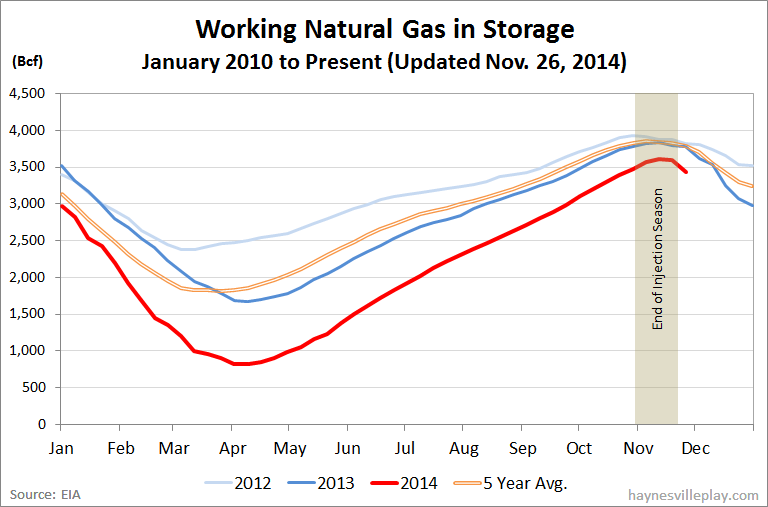 The unseasonably cold weather last week led to a massive storage withdrawal, as the EIA reported this morning that working gas in storage was down 162 Bcf to 3.432 Tcf. By comparison, this week last year saw a 17 Bcf withdrawal, and the five year average was only down 6 Bcf. The current storage level is now 9.2% below last week (3.778 Tcf, a difference of 346 Bcf) and 10.4% below the five year average (3.832 Tcf, a difference of 400 Bcf).